Provides support For treatment of yeast and fungal infections. 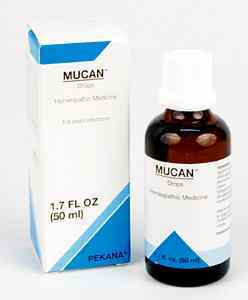 MUCAN - For treatment of local and systemic mycotic infections, including Candida, Mucor and Aspergillus infestation. This medication also restores a healthy internal (biological) terrain that has been severely altered by incorrect nutrition, toxins or drugs. Other drainage and regulation medicines to cleanse the matrix. Usually Apo-Infekt and Mucan are not used together. Post-infection cleanup can usually be accomplished within about 2 weeks. Creating major shifts in the terrain in order to more effectively treat mycotic infections takes much longer, and for this purpose Mucan will always be combined with other remedies. MUCAN drops heal mycotic infections caused by Candida, Mucor racemosus and Aspergillus niger. This medication is extremely effective as it helps change the body's systemic terrain -- the most important step in combating fungal infections. As French physiologist Claude Bernard stated, "The terrain is everything, the germ is nothing". 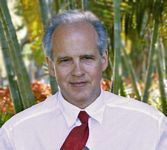 Once the body's natural internal terrain has been severely altered by toxins or drugs -- creating a highly acidic tissue pH and overly alkaline blood pH-- ideal conditions exist for mycotic infections to proliferate. The microbes also multiply and thrive through improper nutrition, stressful lifestyles and latent infections caused by the remains of their protein membranes that the immune system fails to eliminate. These microbes steal the nutrients required for proper metabolism and poison the system, playing an insidious role in the creation of many difficult-to-diagnose diseases, including Chronic Fatigue Syndrome and many forms of cancer. As a result, MUCAN drops are strongly indicated for patients who suffer from environmental or systemic intoxification, particularly those treated frequently with allopathic antibiotics or antimycotic medications. This powerful spagyric remedy has a profound antimycotic and antibacterial effect on the blood and tissues, and changes the internal terrain to such an extent that Candida, Mucor and Aspergillus cannot develop into higher, pathogenic forms. INDICATIONS MUCAN drops benefit mycotic infections caused by Candida, Mucor racemosus and Aspergillus niger. This medication is extremely effective as it helps change the body s systemic terrain the most important step in combating fungal infections. As French physiologist Claude Bernard stated, The terrain is everything, the germ is nothing . Once the body s natural internal terrain has been severely altered by toxins or drugs creating a highly acidic tissue pH and overly alkaline blood pH ideal conditions exist for mycotic infections to proliferate. The microbes also multiply and thrive through improper nutrition, stressful lifestyles and latent infections caused by the remains of their protein membranes that the immune system fails to eliminate. These microbes steal the nutrients required for proper metabolism and poison the system, and may play an insidious role in the creation of many difficult-to-diagnose diseases, including Chronic Fatigue Syndrome and some forms of cancer. As a result, MUCAN drops are strongly indicated for patients who suffer from environmental or systemic intoxification, particularly those treated frequently with allopathic antibiotics or antimycotic medications. This powerful spagyric remedy has a profound antimycotic and antibacterial effect on the blood and tissues, and changes the internal terrain. Agaricus muscarius 6X helps correct mental and emotional imbalances that often accompany fungal infections. It also fights mycotic infections of the mucous membranes and resolves liver and intestinal symptoms caused by a dysbiosis. Allium sativum 6X is a well known intestinal disinfectant. It effectively treats dyspepsia and chronic flatulence, and helps restore the intestinal flora back to a symbiotic state. In addition, it helps treat bronchial catarrh, asthma, diabetes and rheumatic symptoms all of which indicate degenerative conditions that require an intensive detoxification of the intestinal tract and organs. Aristolochia clematis 12X stimulates the Mesenchyme system and phagocytic activity. The Aristolochia acid works like a natural antibiotic, addressing mixed infections with an affinity for the intestinal tract that produce symptoms such as gastritis and colitis. It also relieves itching caused by mycotic infections. Cedron 6X effectively treats pathogenic parasites of the intestinal tract. It also helps eliminate fear and restlessness, restores an emotional/mental balance upset by systemic mycotic infestation and relieves accompanying symptoms such as neuralgia and fever. Hydrastis canadensis 12X is reliable for treating all mucous membrane afflictions. It also helps resolve chronic catarrh that weakens the body, stabilizes emotional/mental conditions and cleans the intestines. Moreover, this herb treats cancerous and pre-cancerous conditions, including those of the lips, tongue and intestinal tract that may develop in part because of the proliferation of fungi in the intestines. Okoubaka aubrevillei 6X stimulates the excretion of mycotic toxins and speeds detoxification of specific organs, especially the intestines. Derived from the bark of a West African tree, this substance also treats acute gastrointestinal tract infections, including those accompanied by diarrhea caused by contaminated food. Okoubaka also helps patients deal with chronic infestations by Candida albicans or Mucor racemosus, both of which can rapidly multiply and cause acute infections. These pathogens may also be present without any obvious symptoms except debilitating weakness found in patients with Chronic Fatigue Syndrome. Vincetoxicum hirundinaria 4X specifically treats viral infections. It boosts the immune response so that the body can eliminate pathogens, including fungi, that take advantage of a sufficient change in the pH balance to reproduce and become more virulent.